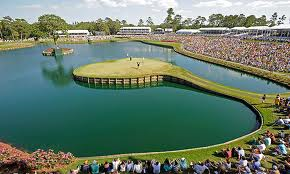 Episode 2 - Steve Bamford and resident guest Barry O'Hanrahan from a A Good Talk Spolied golf podcast, talk Sergio at Augusta and then look at the 2017 RBC Heritage this week's event on the PGA Tour. Played at Harbour Town Golf Links, this post Masters tournament always features a strong field. Course details, weather forecasts and betting trends, plus they give their views on what players to potentially look towards when it comes to delivering profit this week in South Carolina.